'St. Enny' (Enitan Julius) ties the knot with 'Tee Why' (Adetayo Abigael). Congratulations as they both become one. God bless your Union. St. Enny celebrates jumping the broom with release of new single. He calls it "Music In My Heart"
I'm sure you'd agree with me that we don't find 'em like this anymore. Good music is like cool breeze on your skin. 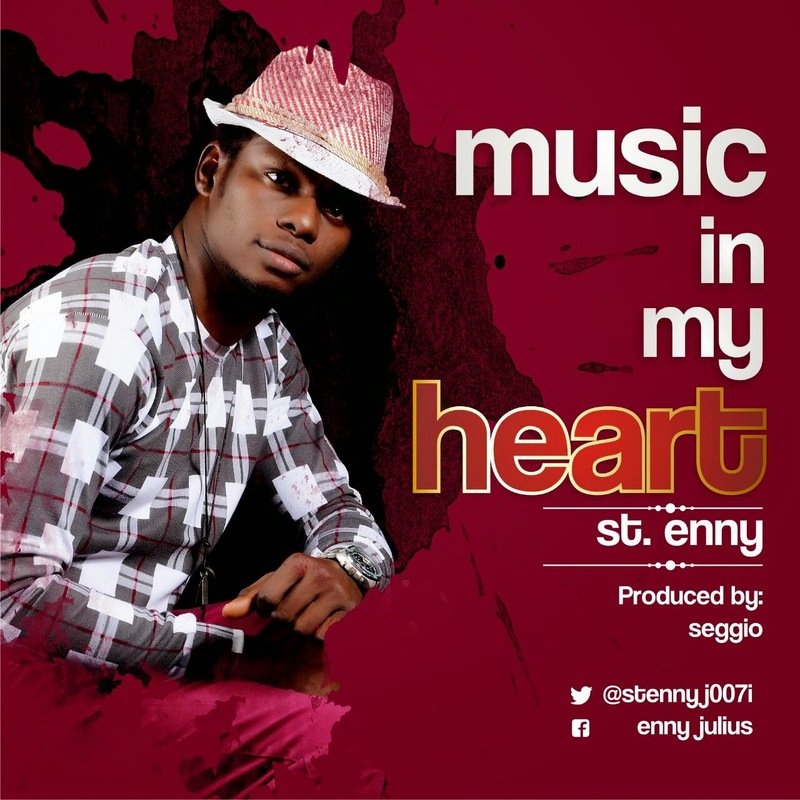 "Music In My Heart" a new song by the sensational artiste "St. Enny" delivers an awesome listening pleasure. Perfectly describing the joy of being in love and being loved. Encounter smooth vocals, love inspired lyrics, fine selection of instruments, catchy vibes and a perfect blend of sound. This is another "masterpiece" delivering the "Master's Peace" to all mankind. Truly love is a beautiful thing and this song proves it.